This ICNC Academic Webinar was presented on Tuesday, March 31, 2015 by Stephen Zunes, Professor of Politics and International Studies, University of San Francisco; Co-Chair, ICNC Academic Advisors Committee. Not all successful unarmed civil insurrections against dictatorships take place in a dramatic mass uprising with hundreds of thousands occupying central squares in the capital city. There have also been cases of nonviolent struggles against autocratic regimes that failed to topple the dictatorship in a revolutionary wave, but did succeed in forcing a series of legal, constitutional and institutional reforms over a period of several years that eventually evolved into a liberal democratic order. These more gradualist transitions have taken place across different regions and against different kinds of authoritarian systems. This webinar will tell the story of pro-democracy movements in three of these countries — Brazil, South Korea and Kenya — and how they were able to force, over time, autocratic governments to agree to substantive democratic reforms. By focusing on the role of civil society, this presentation challenges dominant, top-down, institution- and elite-based approaches to democratization. 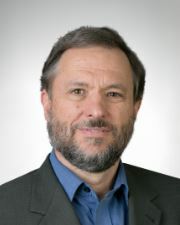 Stephen Zunes is a Professor of Politics and International Studies at the University of San Francisco, where he serves as coordinator of the program in Middle Eastern Studies, and co-chairs the academic advisory committee for the International Center on Nonviolent Conflict. He is the author of scores of articles for scholarly and general readership on strategic nonviolent action, Middle Eastern politics, U.S. foreign policy, international terrorism, nuclear nonproliferation, and human rights. He is the principal editor of Nonviolent Social Movements (Blackwell Publishers, 1999), the author of Tinderbox: U.S. Middle East Policy and the Roots of Terrorism (Common Courage Press, 2003) and co-author (with Jacob Mundy) of Western Sahara: War, Nationalism and Conflict Irresolution (Syracuse University Press, 2010.) He also as a senior policy analyst for the Foreign Policy in Focus project of the Institute for Policy Studies, an associate editor of Peace Review, and a contributing editor of Tikkun. To read more about Dr. Zunes, click here. Ackerman, Peter and Jack DuVall. “People Power Primed: Civilian Resistance and Democratization.” Harvard International Review (Summer 2005): 42-47. Chenoweth, Erica and Maria J. Stephan. “After the Campaign: The Consequences of Violent and Nonviolent Resistance.” In Why Civil Resistance Works: The Strategic Logic of Nonviolent Conflict, New York: Columbia University Press (2011): 201-19. Choe, Hyun & Jiyoung Kim. “South Korea’s Democratization Movements, 1980-87: Political Structure, Political Opportunity, and Framing,” Inter-Asia Cultural Studies, Vol. 13 No. 1 (2012). Johnstad, Peter G. “Nonviolent Democratization: A Sensitivity Analysis of How Transition Mode and Violence Impact the Durability of Democracy.” Peace & Change, Vol. 35, No. 3 (July 2010): 464-82. Mauricio Rivera Celestino & Kristian Skrede Gleditsch. “Fresh Carnations or all Thorn, no Rose? Non-violent Campaigns and Transitions in Autocracies”, Journal of Peace Research 50, (May 2013): 385-400. Press, Robert. Peaceful Resistance: Advancing Human Rights and Democratic Freedoms. Aldershot: Ashgate Publishing, 2012.